The Food Babe Way, yeah no. Scrolling through my Facebook newsfeed, I accidentally stumbled upon an article slamming Vani Hari, Food Babe. The article was well written and pointed out that Hari needed to do more research before making slanderous comments about chemicals found in food products, as well as speaking out of terms especially when you don’t have adequate credentials to back it up. I agree, it’s definitely important to do both so naturally, I did my own research on Food Babe’s food blog. Just a disclaimer to Ms. Hari: relax, we’re all doing the same thing you’re doing-writing a post on our food blog and kudos for speaking up for food labels, it is important to know what is in our body. Although, can you tell me which foods are not “processed”? Studying food culture from multiple perspectives and in different contexts, Food Babe’s food blog exemplifies a lot of problems past not having a complete grasp of chemicals found in food. Hari is also perpetuating a lot of neoliberalist approaches on food choices. I appreciate that she is open about her experiences during her food journey and her weight. However, simplifying food choices as merely looking at food labels at the back of a can or jar is erroneous. There are many factors that contribute to how we make our food choices and why feel the need to make those choices. Not to belittle your weight loss journey, but have you thought about why you felt the need to lose weight to be “healthy”? Healthism in North America portrays a singular slender body as the ‘healthy’ body that, women predominantly, ought to aspire to be. We build ourselves up to maintain a ‘healthy’ lifestyle by cutting out sugar and carbs or excessively going to the gym because we want to get that figure. Yet when we don’t get there we blame ourselves superfluously for it. Why can’t I just love my body the way it is? Isn’t too much of anything just as bad? Keep your balance. Though, this is what really annoyed me: looking at food in its parts. Learning about food and the influence food makes in our lives individually and collectively, it is difficult to look at food not holistically. I am graduating in June with an Equity Studies and Philosophy background, primarily concentrated on Global Food Equity and Political Philosophy. If I took away anything from my undergraduate experience, it would have to be that everything we do is somehow interconnected in some way, even if we are conscious or of it or not. Food is a great indicator of interconnections. Ms. Hari, it is not only about the choices we make about food, but also acknowledging that the options you have may be vastly different from the choices I have. Whether that difference is because of our socioeconomic status, geographic location, values, ethnicity or merely our personal preferences-there are differences. The best thing about food is that it is something that we can experience intimately and share collectively. So don’t put your subjectivities and preach on it. Wouldn’t you be doing the same thing as those mainstream fast foods? Experience food in its entirety. P.S. 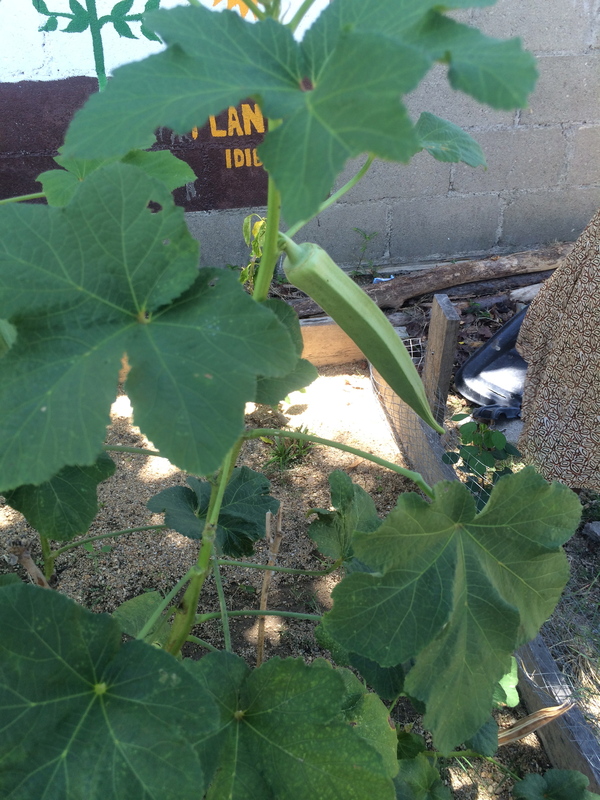 I know the picture of an okra is random, but did you know it grew like that?